Jose Llamas aka DJ Havok is the owner of Hvk Entertainment and is a fulltime DJ and emcee. He was 13 when he acquired his first mixer and pair of turntables. At the age of 20 he enrolled in one of the most respected DJ training studios in San Diego - Studio 47. After completing the course he provided DJ services to nightclubs and bars throughout San Diego County. DJ Havok's style is very diverse, he mixes so many genres in one set which is what makes DJ Havok different. He can play music from the 50's up to today's top hits. Before transitioning to a full time DJ, he worked in corporate banking for 10 years while Djing Night Clubs, Bars, Corporate Events, and Weddings. The experience he gained working in the banking industry gave DJ Havok the ability to understand how important customer satisfaction is when providing a service. DJ Havok's main goal at any event is to create a memorable atmosphere and leave everyone wanting more at the end of the night. With more than 15 years of experience Djing for all types of crowds, he gained the ability to read a crowd extremely well which is crucial in this industry. Music sets the tone for different occasions. 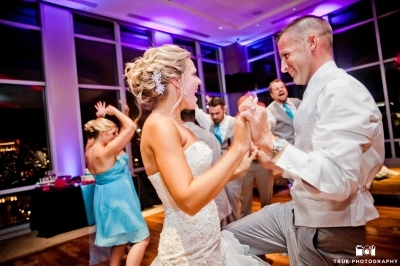 Whether it's a cocktail party with background music, a wedding with 150 guests, or a corporate event with 1,000 attendees, you can rest assure that DJ Havok will be able to read your crowd and set the atmosphere that you envision for your special event. Today, technology has made it very easy for anyone to be a "DJ." An individual simply needs a computer, DJ software and speakers. What this simply means is that the DJ will be able to mix two songs together without a break of silence in between. The one thing money can't buy is experience. DJ Havok has DJ'd close to 1,000 events in his lifetime. An important factor he has learned - in order to have a successful event you need a lot more than just the ability to mix two songs. 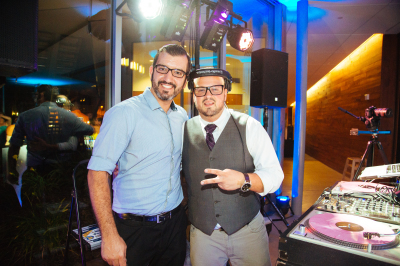 DJ Havok believes that the key to a successful event starts at the planning stage. He will make sure to ask the necessary questions that will give him the information needed to prepare for any specific event.